Norm Cottom attended Wiley High School in Terre Haute, Indiana where he lettered four years in basketball. 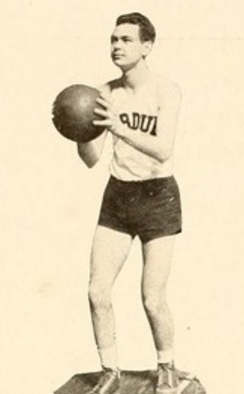 Cottom played varsity basketball at Purdue University for three seasons (1933-35) and was named a consensus All-American at the end of the season of his junior (1934) season. Cottom briefly played professional basketball with Indianapolis in the Midwest Basketball Conference. Norman Thomas Cottom Born: Mar 12, 1912 Died: Jul 1, 1972 Hometown: Terre Haute, In.